Official VW pics of the Mk3 Scirocco. The New Scirocco was launched in Germany and the UK on September 1st 2008. Initially the UK car was only available with the 2.0 TSI engine and was sold as the Scirocco GT. The 1.4 TSI and a diesel version come to the range the following year. At launch, the Scirocco was available in these colours. 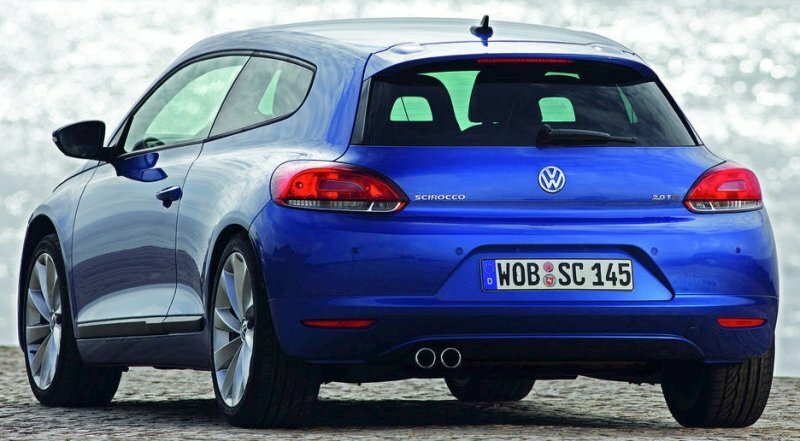 Now that the Scirocco has been in production for a while, various models and studies have been released by VW. Click on the links below to see them. Click here for more info on the official VW website. And click here for a detailed feature on the VW media services site. All images and the Scirocco logo are copyright of Volkswagen. They are used here only for reference purposes.